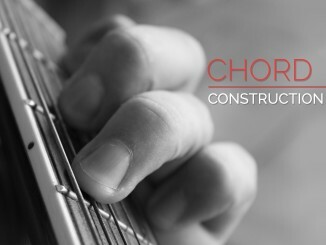 Drop 2 chord voicings are formed by taking a chord and then dropping the next to the highest note, or voice, to the lowest note of the chord. Similarly, there are drop 1, drop 3, drop 2 & 4, etc. Drop 2 voicings are important because most of these chords are easy for a guitarist to play on 4 adjacent strings. 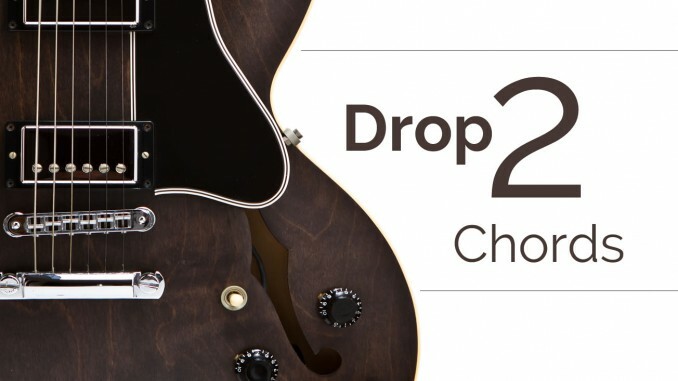 Drop 2 is just a name for how the chords were derived from another chord. This is only important for naming the voicings. I will describe how they are derived then I will show you the voicings. The example below shows four C Major 7 chords and their drop 2 voicings in standard notation. The important thing to realize is which note is dropped to the lowest note. Let’s explore the theory behind the example. C Major 7 consists of four notes: C, E, G, B. There is a root chord and 3 inversions for any 4-note chord. The table below shows the chord intervals and the notes that create the chords. First, it shows the note intervals for the base chord. Second, it shows the note intervals for the drop 2 chord. Third, it shows the notes of the base chord (lowest to highest). Last, it shows the notes for the drop 2 chord (lowest to highest). The theory of drop 2 voicings is dry, but the chords they produce are fantastic because they form compact and playable voicings. They don’t stretch your fingers too much and they don’t repeat any notes. To use these voicings, I recommend learning the highest note interval and the lowest note interval for each drop 2 voicing. For example the 2nd Inversion drop 2 has the 1st, or root, as the lowest note and the 3rd as the highest note. You can use this to form a bass line as you change chords or as a melody on the highest note. This is effective in writing chord progressions. If you’re interested in jazz, you’ll also notice that the color notes (3rd and 7th) are the two highest voices in the chord. If the bass player is playing the root, you can forego playing the root and play only the color notes to create the chord. As you play more and more, you’ll probably notice that the drop 2 chords on strings 1-4 and 2-5 are the most useful. If you need to lessen your practice, I would start with these string groupings first. Each line below contains four drop 2 chords for a string set. The four chords are derived in order from the Root Position, 1st Inversion, 2nd Inversion, and 3rd Inversion. For example, measure 3 of line 2 is the 2nd inversion drop 2 C Major 7 chord on strings 2 – 5. Below are the drop 2 patterns for the F chords. The ordering is different in these patterns. See if you can identify how they are organized. Now let us practice using some of these voicings in ii-V-I chord progressions. This is a very common Jazz chord progression. Practice these chord grips then try taking out the root note and optionally the 5th of each chord as if a bass player was playing the root note. This will keep the focus of your playing on the color notes (3rd and 7th) that determine the type of chord that is played (major 7, minor 7, dominant 7, etc). 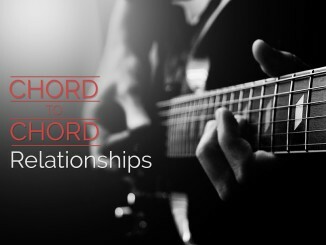 One tip is to remove the lowest two notes from the drop 2 chords that have the root as their lowest notes. These ones do not have a slash next to the chord name. The 3rd and 4th lines below show progressions using only voicings with the root as the lowest note. This is great stuff I’ve been struggling to understand the reasoning and application behind building and playing drop 2 voicings and this is the most well constructed lesson I have found thus far. I am working on a project and presentation on the guitar style of Chet Atkins for my Music degree and one of the passages I am playing he used Drop 2 voicings. I Know the shapes but haven’t been able to clearly explain their significance and construction until now. Thanks for your hard work I look forward to exploring your site further. The best explanation I’ve seen so far. 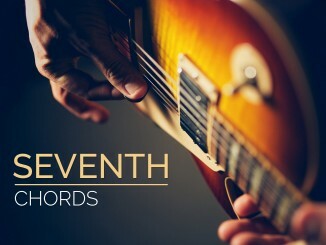 Most others don’t mention anything about all the inversions, so they mix and match chord examples which create huge inconsistencies with the provided basic definition of Drop 2. Without also mentioning to which inversion it (the Drop 2 explanation) applies to, the definition doesn’t make sense… Thanks. Should I assume then that the Drop 3 explanation will be similar to the Drop 2, but this time the note that is dropped an octave is the 3rd note from the top… for each of the applicable inversions? Thank you for the kind words. I am glad that this lesson helped you! I still didn’t get it until I read your little summary right here! Thank you so much! This has been a long time coming for me! Excellent, practical stuff. Was recently working on some Wes Montgomery stuff and so many of his chord choices are basically Drop 2 voicing’s. I don’t perform a lot of jazz, but am the only chordal instrument in a trio w/singer cover band. So knowing a lot of 3 and 4 note chord substitutes really helps, especially when I may need to cover things like horn lines or an essential melody line to a song. Thanks for the post. Thank you for your explanation. There seem to be 2 inversion explanations in the web and I keep confusing which one to think is correct. In your explanation you derive each Drop 2 inversion from relative basic chord inversion. So, To get I inversion of Drop 2 you look at I inversion of regular 7th chord. (3571 to 7351) 7351 inversion is the first inversion of Drop 2 then. The other explanation stacks inversions progressively based on what we have in the bass note. 7351 would be then 3rd inversion. I find it easiest to teach drop chords based on the inversion from which they are derived (as you noticed). I’m not sure that there is a proper method here. My reasoning is that you need to “drop” a note from another chord so I like to keep that inversion known, otherwise drop 2 has less meaning.